Can you believe it’s already June? 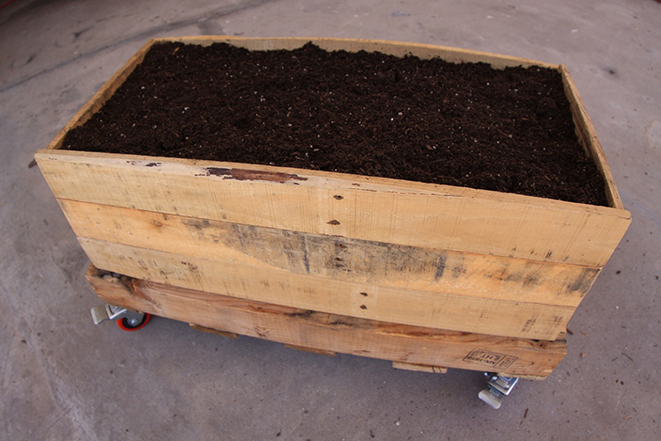 Time is flying by and so is the progress on our raised gardening bed crafted from up-cycled pallets. I’ve put the finishing touches on, filled it up with soil and planted some rescued succulents, which I will eventually use as landscaping in the front yard. Once the succulents are ready to transplant, I’ll replace them with vegetable seeds and use my raised bed to feed our family! Step 8: Picking up from Step 7, finish attaching all of the side planks to the bed. It’s important to leave as little space between boards as possible. Step 9: Cut the landscape fabric to the approximate size of the bed. It’s okay if it’s too big or too small – nothing a staple gun can’t fix! Step 10: Staple the landscape fabric to the bottom and sides of the bed. Leave enough slack so the fabric doesn’t tear. 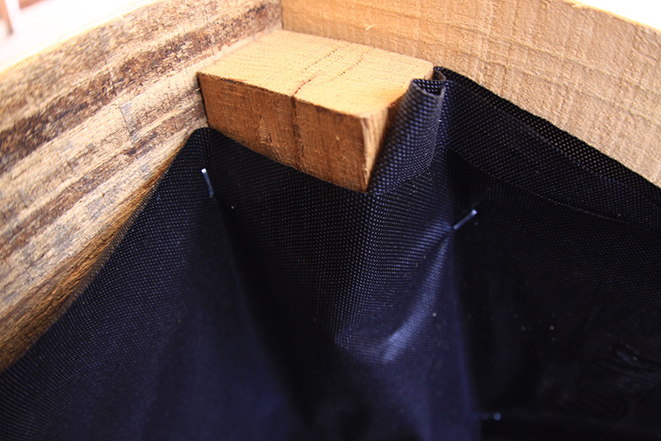 Step 11: Finish stapling the corners and making sure that the fabric is secure. Corners are tricky and the great thing is that they’ll be covered by soil – so don’t worry about being too much of a perfectionist. 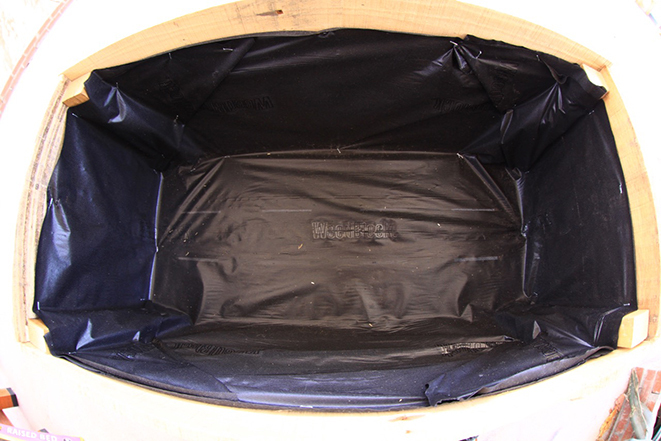 Step 12: Once the lining is completely fastened begin filling up the bed with soil. 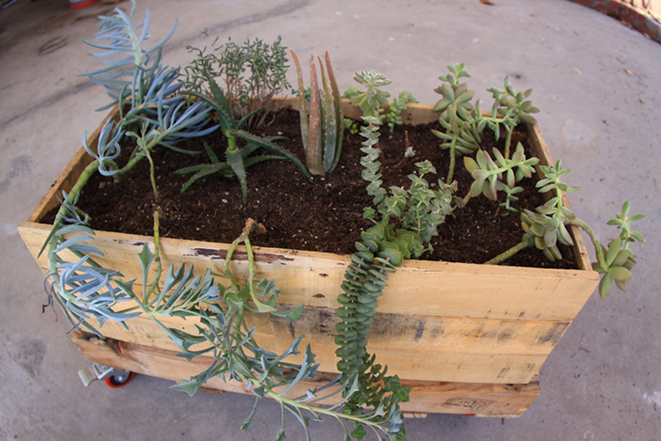 I chose an organic cactus and succulent-friendly soil which drains more easily. Feel free to choose whichever soil suits your plants best. For this bed, I found that 3 2-cubic foot bags worked perfectly. Step 12: Finally – the fun part! Plant your new creation with whatever your heart desires. I chose succulents because we’re experiencing a drought here in Southern California, but the options are truly limitless! The most important thing is to have fun and admire the new addition to your patio or yard. Contributor bio: Sara Seiniger is an avid Do-It-Yourselfer and gardener. She lives in Los Angeles, and recently started a drought-tolerant arrangement and landscaping company called Desert Rose Succulents. 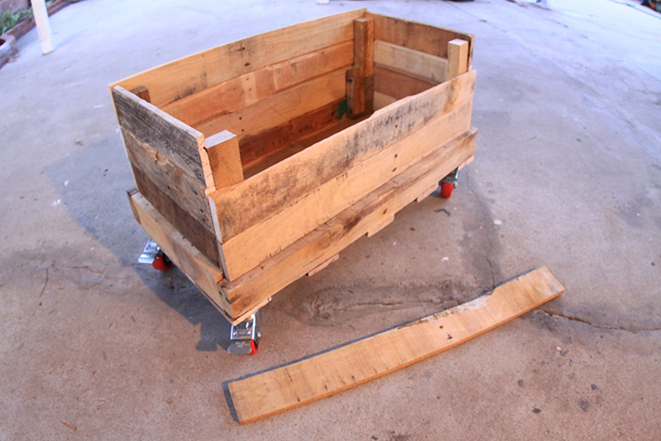 Sara is a proponent of organic gardening and up-cycling materials whenever possible. Her dog Hank acts as an assistant, oftentimes sleeping on the job. Woodcraft Supply, LLC is one of the nation’s oldest and largest suppliers of quality woodworking tools and accessories. What started as a one-room operation in 1928 by George Eaton and Richard Merrill in Boston, Massachusetts has become a nation-wide chain operating over 70 stores in 36 states.